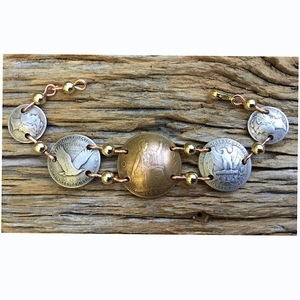 This coin jewelry bracelet has Britania the female warrior of Great Britian as the center coin. The two inside coins are silver quarters from America- the Standing Liberty/Flying Eagle and the Washington.The two outside coins are American copper pennies the Indian Head and the Lincoln Wheat penny. 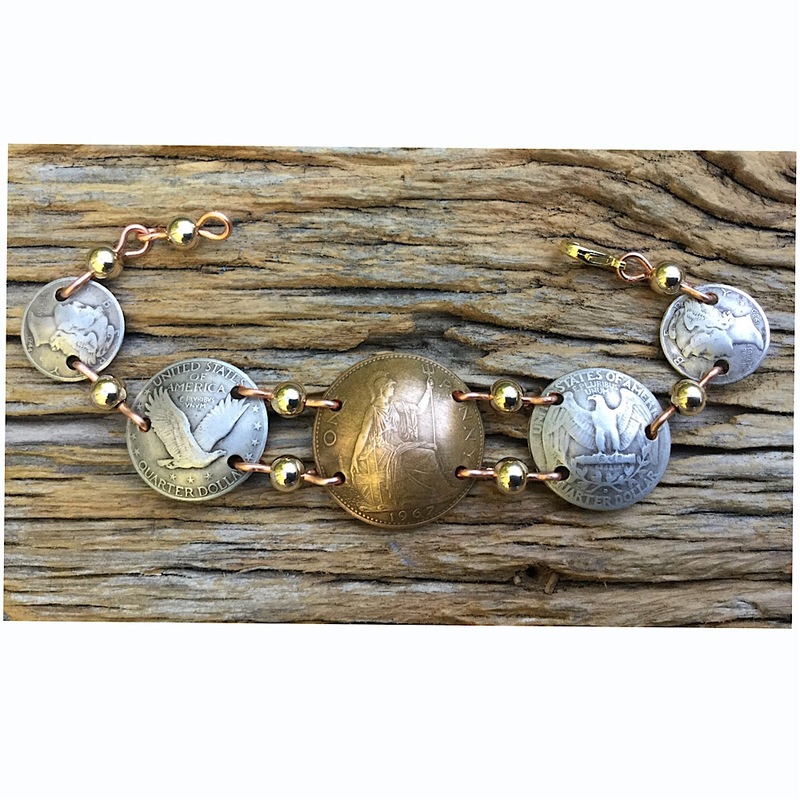 This handcrafted coin jewelry bracelet can be made from your coins for $52. Made in the USA.